(Newser) – Seven central Florida teenagers were arrested after authorities said they punched and kicked a 13-year-old until she was unconscious while on a school bus. The victim told authorities that yesterday was her first time riding the bus and no one would let her sit down. 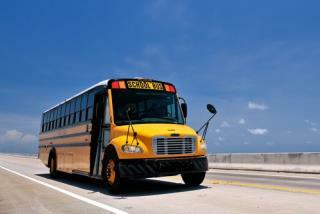 About 75 children were riding the bus bound for a middle school in Ocala, a rural city north of Orlando. The victim said someone threw a shoe at her and she threw one back, according to an arrest report. Yet another group of wonderful parents must be so proud of their darling children.